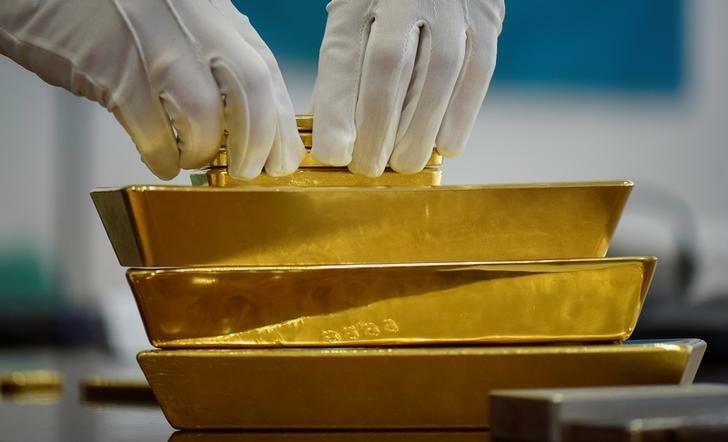 (Reuters) - Palladium scaled a record peak to within striking distance of the $1,500 level on Tuesday fuelled by a sharp supply deficit, while gold climbed 1 percent to hit a 10-month high on a weaker dollar and global growth jitters. Spot palladium was 1.9 percent higher at $1,484 per ounce by 2:12 p.m. EST (1912 GMT), having earlier soared to an all-time high of $1,491. Spot gold gained 1 percent to $1,339.50 per ounce, having earlier touched its highest since April 20 at $1,341.78. U.S. gold futures settled up 1.7 percent at $1,344.8. Among other precious metals, platinum gained 1.8 percent to $816 per ounce, while silver rose 1.2 percent to $15.99.